The Medieval Times encompass one of the most exciting and bloodthirsty periods in English and European History. This comprehensive King Henry IV Timeline of the Medieval period details the major events significant to the lives and events of famous people who lived during this era. 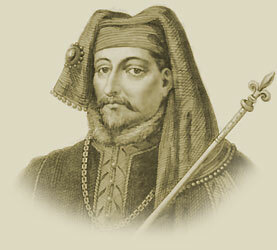 Key dates provide a fast and simple way to cover history via the King Henry IV Timeline. Dates of great events and dates relating to the births, deaths and the durations of reigns. Dates of all of the major events and people who were important are briefly explained in the King Henry IV Timeline. The fastest way to obtain interesting facts, history and information on the times of the Medieval era. 1380 Henry married Mary de Bohun; they had two daughters and four sons. The Medieval Times website provides interesting facts, history and information about these great people and important historical events which scatter the Medieval History books including the King Henry IV Timeline. The Medieval Times Sitemap provides full details of all of the information and facts about the fascinating subject of the lives of the people who lived during the historical period of the Middle Ages. The content of this article on Medieval life and times provides free educational details, facts and information for reference and research for schools, colleges and homework for history courses and history coursework.